READ Half a Rupee: Stories FREE online full book. is one of India’s most respected scriptwriters and film directors, and has been one of the most popular lyricists in mainstream Hindi cinema for over five decades. One of the country’s leading poets, he has published a number of poetry anthologies and collections of short stories. He is also regarded as one of India’s finest writers for children. 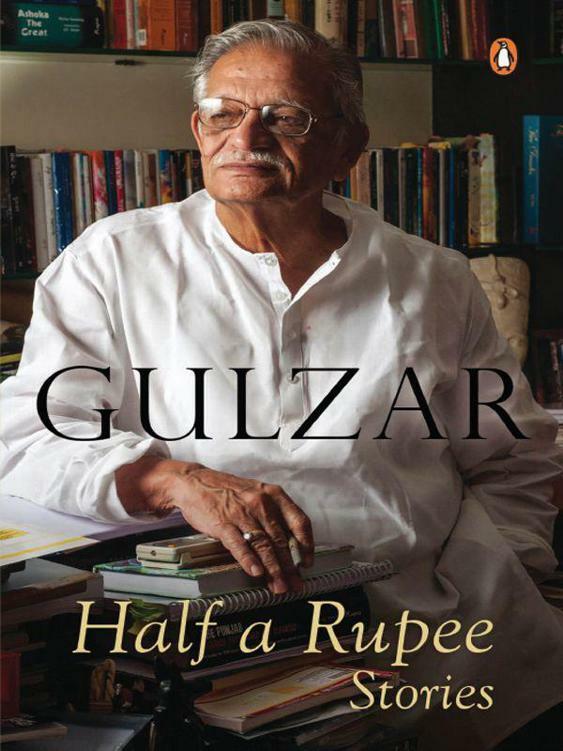 —Gulzar has received the Sahitya Akademi Award in 2002 and the Padma Bhushan in 2004. He lives and works in Mumbai. I wish I didn’t have to write a Foreword to my stories. I have nothing to explain about a story, if it doesn’t explain itself. Of course there are various subjects on which I have written. But then life is not lived in a monotone. You pass through a variety of phases, both personally and socially. You meet a galaxy of people in the orbit of your days and nights. I have touched on a few. Don’t be surprised if you find yourself reading about some well-known names. Some of these stories are biographical in a way. There are many who have shared some emotional experiences with me, and I am sharing them with others. Humra Quraishi is one person I would like to mention in particular. We shared a lot of Kashmir though neither of us is from there. the journal of the Sahitya Akademi. But all the stories have been translated anew by Sunjoy Shekhar, to give them uniformity of style and expression. Sunjoy is an inimitable writer and an intimate friend; he has a way with words. Last—but foremost—is Udayan Mitra: he has given a shine to my work. I agreed to publish this collection on one condition: that he would edit my book. He has done all my earlier books too. And I will come back again, only if he has the time to edit my work. Thank you, Udayan. When I was growing up on the cobbled streets of small-town Bihar, night always appeared to fall early. Before the streets could echo with the sounds of	conch shells and the ululation of mothers and aunts performing their pujas, we children would be dragged by the scruff of our dusty, mangy collars by elder sisters to be scrubbed clean and placed before piles of waiting homework—before they could stoke the coal in the evening chullahs. In the spiralling smoke of those chullahs you could almost see our prayers rising to petition the Old Man in the sky. All the kids, praying in unison, asking for just one thing—a power cut, the longer the better. And when the street would suddenly plunge into darkness, hundreds of tiny feet would break free, leap out of houses, milling around a man we knew only as Makoria Mamu. He had only half a tongue. The other half he claimed his stepmother had cut off. God knows whose mamu he was, or why he was called Makoria—‘spidery’—but he sure had a web of stories to brighten our darkest nights. We would huddle around him in rapt attention as he spun his narratives—with only half his tongue—around people we knew, around things that happened in our real lives, parables masquerading as real, tangible adventures. At the end of his stories, he would demand a chapatti from each one of us. There was hardly a household in the mohalla that did not make one extra chapatti for Makoria Mamu. We never saw him before dark, and I never saw him ever again when I swapped my small town for big-city India. It is believed that a community, a society, a nation is as strong and healthy as the stories they tell themselves. In this collection of twenty-five stories—with a cast of characters to rival the residents of a Naipaulian Miguel Street—I can smell my Makoria Mamu. —the half a rupee coin—into a rupaiya. book are born into their own stories, but it is only when Gulzar, the writer, is born out of these stories that he finds shelter: ‘tum hee se janmoon toh shayad panah miley’. The magic of storytelling is derived from our ability to summon up all our thoughts about who we are and where we are going, by our ability to take lives that are lived in halves and make them whole. A good storyteller is the conscience-keeper of a nation. And Gulzar saab is a good storyteller. I had a blast translating these stories and I just hope that I was able to capture the magic of Gulzar saab’s originals in my translations. If I have succeeded even in a small measure, the credit must go to Udayan Mitra, an editor every writer should pray for, and to my wife of twenty years, Geeta. I would like to dedicate my translations to my Subhash Mamu, and to my daughter Gauraa in the hope that she can see a world that she could not read about in the original Urdu. I also need to thank Manoj Punjabi, without whose magnanimity I would not have found the time to finish this book. The Gathering Flame by Doyle, Debra, Macdonald, James D.